The Bachelor 2015 Spoilers: Who Won Season 19, Chris Soules’ Winner and Fiancee – Doubt Cast On Reality Steve’s Reveal? The Bachelor 2015 spoilers have been alive with speculation about who won Chris Soules heart and is the winner and season 19 fiancee. Season 19 of ABC’s reality TV dating show The Bachelor kicked off in January 2015 – and Chris Soules is on the hunt for his wife. 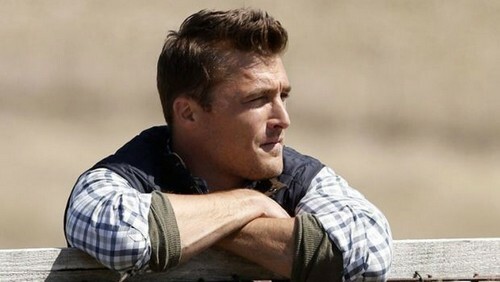 During the three hour Bachelor premiere Chris Soules met a record-breaking 30 women (the largest in Bachelor history), and began chipping away at the them and narrowing down his search for love. Of course Bachelor blogger and spoiler guru Reality Steve already announced the 2015 winner of Season 19 weeks before the premiere on ABC. According to spoilers, Chris Soules gave his final rose to Whitney Bischoff, and they are happily engaged. However, Bachelor Nation has their doubts. Reality Steve has provided detailed episode by episode spoilers for The Bachelor and The Bachelorette for years. Fans of the ABC shows have come to rely on the spoilers on his website – which generally break down every single episode before it airs, down to who receives date cards and who steals a kiss from The Bachelor. But, Season 19 of The Bachelor 2015 has been different, and has the internet buzzing that Reality Steve doesn’t know hardly anything about Chris Soules’s season. Reality Steve insists that Whitney Bischoff is the winner, but unlike previous seasons he has no idea which girls go home on which week – or who goes on group dates or 1-on-1 dates, which has fans doubtful. Seriously, how can we trust the endgame when the man doesn’t know the moves that lead us there? As soon as the season 19 premiere of The Bachelor aired on ABC, fans took to the internet and began doubting that Reality Steve was right about Whitney Bischoff being the 2015 winner. Usually when Reality Steve announces a winner, you can see obvious chemistry between the winner and The Bachelor or Bachelorette. Remember the sparks flying between Andi and Josh last year? But, Whitney Bischoff and Chris Soules have barely spoken to each other – and she barely made the cut on the first night, which only further spurs doubt that she is this year’s winner. So Bachelor fans, do you believe that Whitney Bischoff is this year’s winner? Or do you think Reality Steve may be wrong again, like he was during Desiree Hartsock’s season of The Bachelorette? If Whitney isn’t engaged to Chris Soules right now, who do you think the real 2015 winner is? Let us know what you think in the comments below and don’t forget to check CDL tomorrow for more Bachelor spoilers and news. The Bachelor Spoilers: Who Won Chris Soules’ 2015 Final Rose – Reality Steve Misinformed, Makes Season 19 Winner Error?